U.K. farmers get $3 billion from the EU so why do many want Brexit? Why do so many U.K. farmers want Brexit? At an agricultural market deep in the heart of England, farmers are fuming. The reason for their anger has nothing to do with the price their spring lambs are fetching -- less than $17 -- or a 13% drop in the price of their cattle in just a week. Instead, their beef is with the European Union. "Farmers just don't like Brussels," says Simon Paine, deputy chairman of the local branch of the National Farmers Union, referring to the Belgian city where the EU administration is based. "It's the red tape and all the legislation. Why can't we have it a lot simpler? And just run farming (...) for farmers?" At a national level, the NFU says the interests of farmers are best served by remaining part of the EU. 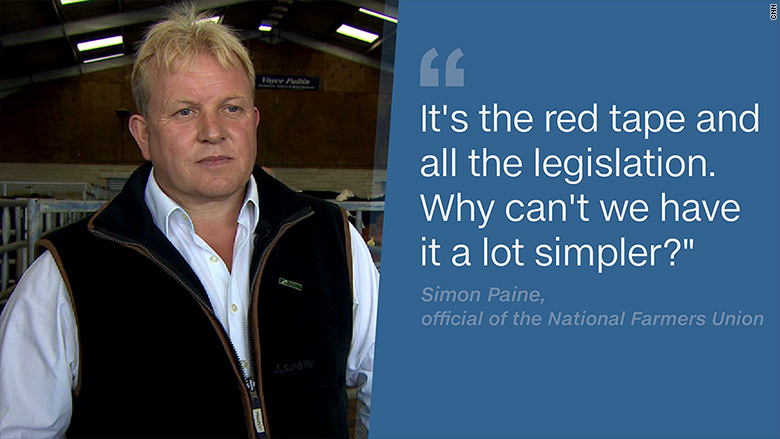 But recent opinion polls suggest a majority of Britain's 73,000 full-time farmers want out. 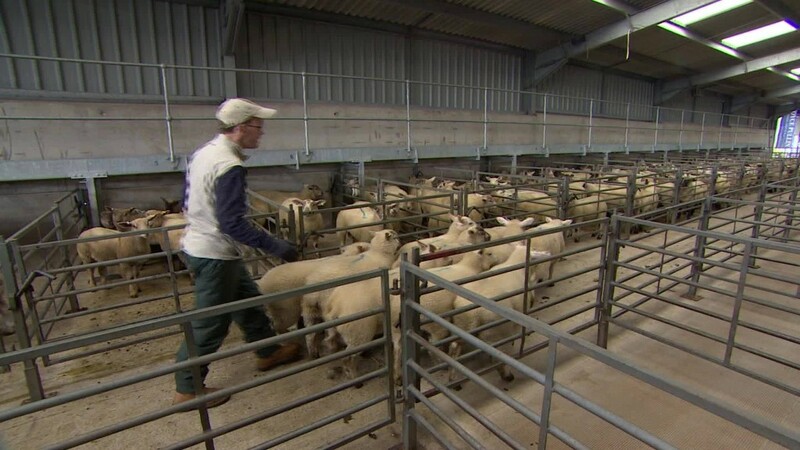 Resentment at EU regulations has many British farmers flocking to the "Leave" campaign in the U.K.'s upcoming referendum on EU membership -- even if that means forgoing subsidies they rely on to make ends meet. Last year, U.K. farmers received around $3 billion in agricultural funds from the EU and sold $13 billion of produce to countries across the block. Saying goodbye to that EU cash could make agriculture the sacrificial lamb of a possible British exit - or Brexit. But many farmers at the Circencester market say that is a risk worth taking. "I've been thinking long and hard about Brexit," says Andrew Mutch, director of MutchMeats, a meat processing business. "I'm getting to the stage where I am probably going to be an 'Out' voter." He says dealing with EU regulation is "like being back at school, with the headmaster telling you you can't do this and you can't do that. What customers I serve on the continent I am sure will continue to buy from me if we leave." Farmers have had a love-hate relationship with the EU for more than half a century, since it introduced the Common Agricultural Policy. The system of production quotas and subsidies was designed to ensure there was enough food for all in the aftermath of World War II. But the CAP -- as it is known -- has made farmers heavily reliant on subsidies. They complain those handouts have distorted the market, creating gluts of butter, milk and wine. And the policy has many critics outside agriculture, primarily because it swallows up 39% of the EU's budget for a sector that accounts for less than 2% of GDP. The only way to achieve the free market farmers want, Paine says, is to vote to leave the EU -- even if it means Britain risks being branded the black sheep of Europe. -- James Frater contributed to this article.